The two powerhouses of 3D printing industry join together to present first market-ready solution for orthosis and prosthesis using a revolutionary material. 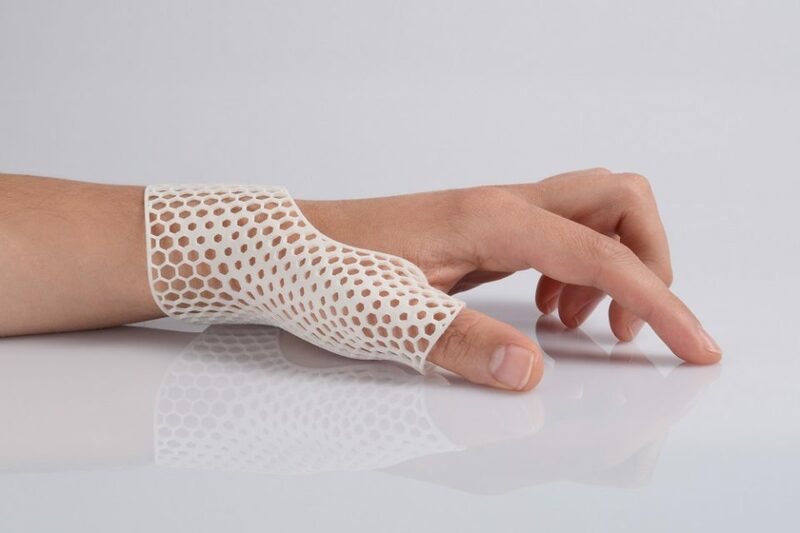 Shapeways, the world’s leading manufacturer of 3D printed goods, has become one of the first suppliers in the industry that is able to offer and supply market-ready orthosis and prosthesis to designers and businesses of all sizes. To launch its expansion into the O & P market, Shapeways is now offering PA11, the bio-degradable, nylon material derived from castor oil, to its customers. 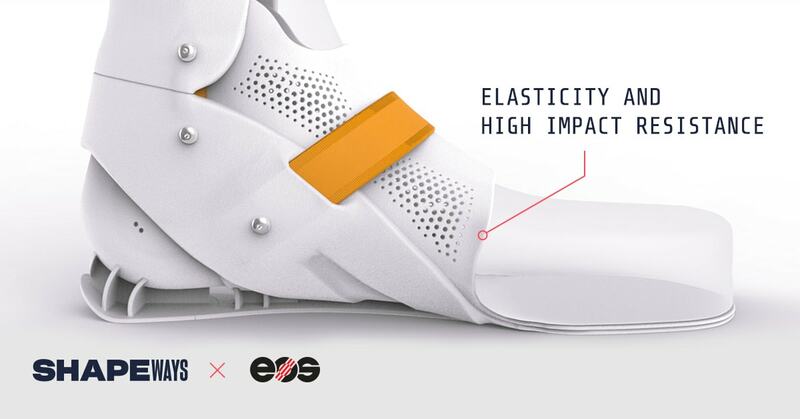 The availability of this material is a result of the ongoing partnership between Shapeways and EOS, the global technology leader for industrial 3D printing of metals and polymers. Naturally sourced from castor oil and known for its elastic and impact resistant nylon properties, Selective Laser Sintered PA11 is one of the fastest growing markets for additive manufacturing (AM). 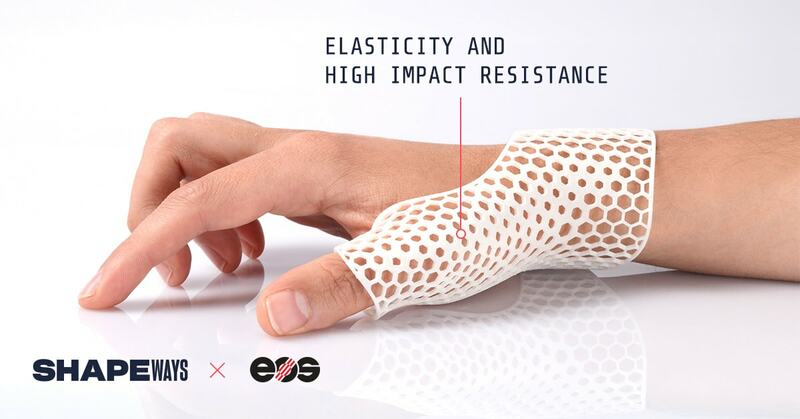 Shapeways’ venture into the orthosis and prosthesis market notably impacts the 3D printing industry by creating medically-proven solutions with PA11. The medical market will always have a need for affordable materials to create parts such as braces and prosthetics, which is now offered at cost-effective prices. The launch of PA11 will open the doors for Shapeways to collaborate with many medical practitioners, bringing 3D technology to the production of customized medical enhancements for those in need. PA11 material is already qualified for a range of industry applications, such as automotive, medical and other high-performance uses. PA11’s nylon properties are also ideal for aerospace and electronics. With greater strength and flexibility, PA11 is an impact resistant and a ductile material with high elongation at break. Popular for active, wearable goods and snaps to fit parts and hinges, PA11 is great for high-impact customized parts such as prosthesis, braces, insoles and other exterior medical needs. PA11 will be offered in its natural white finish that can also be dyed to any desired colour. This partnership is not a first for the two 3D printing giants. EOS was one of the first AM brands to partner with Shapeways at its launch in 2007 and houses dozens of EOS AM machines in their facility. EOS has more than 30 years of 3D printing experience in materials, validated processes and time-tested SLS quality technology. About Shapeways: Shapeways is redefining product creation. The platform enables creators to bring their ideas to life with services to design, make and sell products made via 3D printing manufacturing. Shapeways has over 1 million creators and has printed over 10 million products, printing in over 40 materials and finishes. About EOS: EOS is the world’s leading technology supplier in the field of industrial 3D printing of metals and polymers. Formed in 1989, the independent company is pioneer and innovator for comprehensive solutions in additive manufacturing.